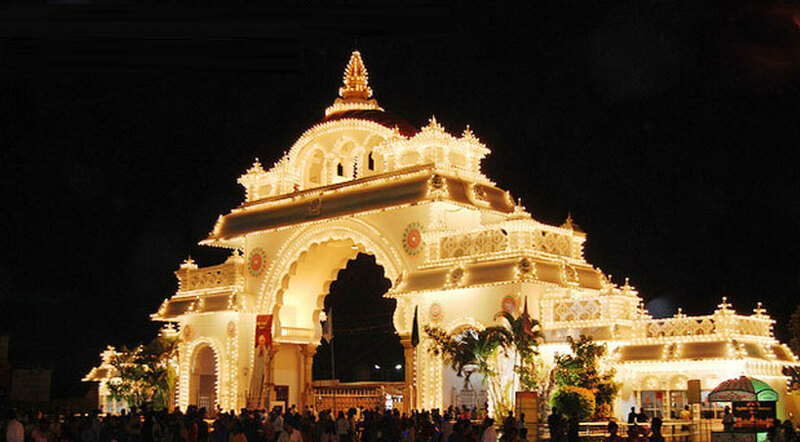 In the year 1981 Karnataka Exhibition Authority was constituted to organise the exhibition besides looking into the proposed construction of Karnataka Kalamandira, Vishwa Kannada Sammelana guest house and shopping complex. The construction of afore said buildings were completed in 1985 and were handed over to Kannada and Culture Department and PWD Department respectively following the government order on April 1,1989. 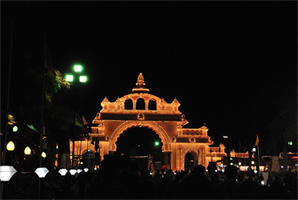 The task of conducting Dasara exhibition was entrusted to Karnataka Exhibition Authority in 1987. From 1987 to 1993 the exhibition was conducted under the banner of Information, Tourism and Youth Affairs Departments, and from 1994 to 2003 under the banner of Kannada and Culture, Information and Tourism Departments. The State Government has leased out 80 acres of land to the authority for a period of 30 years starting from 1996 to host the exhibition. Accordingly, at the exhibition, especially during dasara, for a period 90 days and 45 days during summer, exhibitions are held. This apart during the remaining period, the authority in association with other departments hosts khadi mela, handicrafts expo, leather mela, food festival, consumers festival and other people-friendly programmes laying emphasis on mirroring the developments of the government. The facility is also rented out to facilitate the programmes conducted by the private parties.